I am a new member of #SaturdayScenes. The group is private. BUT, all that is involved for anyone wanting to join is search #SaturdayScenes in the communities and ask to join. I was recently promoted to moderator in this community. (I’ve no idea why, as I’m sadly lacking in technical skills. 🙂 This community is another brilliant baby of owner, John Ward, in addition to his three other google plus communities are: The Writer’s Discussion Group, or WDG, The Urban Fasntasy writing group, and The Writer’s Critique group. He clearly knows how to create successful writing interaction. 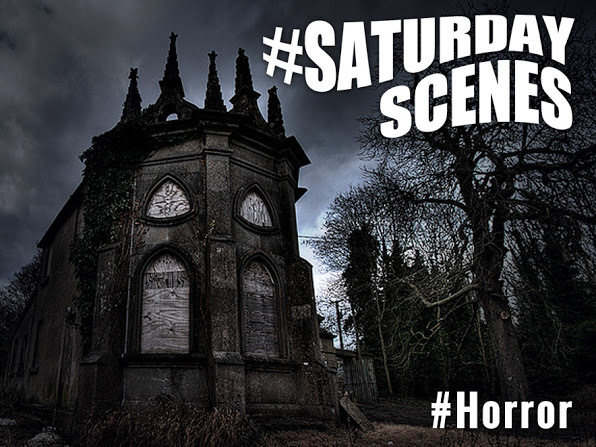 Saturday Scenes involves sharing a scene from a work in process or a published scene, or even a scene hidden away in the dark recesses of a drawer all but forgotten. What I like about Saturday Scenes besides the writing practice is the feedback from the members, and since it’s posted publicly, from any else who wants to read and chime in. Everyone is posting their scenes and is reading each others scenes. I get to see other styles, other techniques of writing, taking away something each week from other great writers. The feedback is encouraging, spurring motivation. It is a learning experience as well when the advice and suggestions offered from other writer’s makes the scene its best, helping in the polishing process. I have posted a few scenes, one being the intro scene from my novel, in the editing process, The Walking Bridge. I also have posted some flash fiction. The Walking Bridge intro, is here. A flash fiction piece I titled The Legacy is here. Here are a few more WDG Flash Fiction pieces I’ve written from 2013 until present. Mistakes and all. 😀The fiction uses a picture prompt for each. Some I won by votes of my peers, some I didn’t. But it’s all good. Great writing exercises. These links also show some other writer’s great stories. Unless I posted first, you will have to scroll down to find my entry. Thanks for reading! The Timbered Realm of D.O.Z.E. Hi! I didn’t know where to post my comment, but I guess this is as good a place as any :). I’ve finally got around to reading “The Amigurumi Menagerie” from the very beginning, and I really like it so far. And Jordan is my favourite character, you’ve shared just the right amount of information about him, and he does sound like a “real” person. Oh, thank you very much for reading it so far marsar2! I really appreciate. I’m letting the characters tell me where to go each week. This is turning out to be a fun serial. Thank you so much for reading marsar2! It is pretty “out there” and far fetched, but fum to write. It is getting creepier still as it nears the end.